WikiLeaks founder Julian Assange faces a likely extended extradition battle after this week's dramatic end to his seven-year asylum stay holed up in Ecuador's London embassy. Bjarke Ingels Group and a company called Oceanix presented a wild concept for floating cities at the UN this week, imagining completely self-sufficient communities in the era of sea level rise. People from New Zealand are disappearing from my website. The loss of readership from this country, alone, is staggering. And now I know why. New Zealand is censoring, Chinese style, anyone who is conservative. Syria's UN ambassador has suggested the US hand "a couple" of its own states over to Israel instead of flouting international law and selling others' land for favors with the Israeli lobby, like it did with the Golan Heights. The United Nations postponed last week for the third time the publication of a blacklist of Israeli and international firms that profit directly from Israel's illegal settlements in the occupied territories. ECH-savvy "digisexuals" who lust after AI software and realistic robots are demanding human rights. Syria has threatened to strike Israel's Ben Gurion airport in Tel Aviv unless the UN Security Council ends years of IDF incursions into Syrian airspace, according to Syria's UN Ambassador Bashar al-Jaafari. UNESCO - The Trump and Netanyahu regimes announced their intention to leave the UN's educational, scientific and cultural organization in 2017. Jean Raspail's novel is unfolding before our eyes. Some 3.9 billion people are now using the Internet, meaning that for the first time more than half of the global population is online, the United Nations said Friday. The global compact for migration is the first, intergovernmentally negotiated agreement, prepared under the auspices of the United Nations, to cover all dimensions of international migration in a holistic and comprehensive manner. Another False Dawn in Libya? Elections are postponed, again, and the dangerous power vacuum the U.S. created there remains. Following Dina Powell's "not interested" response, CNN is reporting that President Trump's current top pick to replace Nikki Haley as UN ambasador is State Department spokesperson Heather Nauert. Why Is the United Nations Flooding Immigrants Into the Top 7 Western Nations? 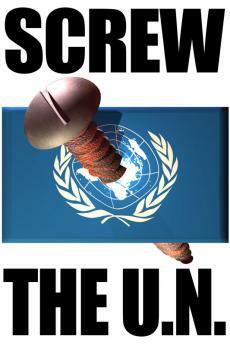 The United Nations is seeking to destroy Western nations though immigration. According to Harper's Magazine, UN Ambassador Nikki Haley recently delivered a speech to the elite and secretive Council for National Policy (CNP). On October 4, Haley had previously resigned her UN assignment as of the end of 2018.